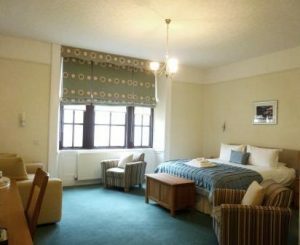 Brims: all our family rooms come with a large flat screen TV and DVD player. Our superior doubles, Brims and Cairnmore can be transformed into family rooms. Our pull-out sofa beds are very comfortable especially for children. We can add a z-bed too and there is still plenty of seating and room to move around. The en-suites are large with double power showers. 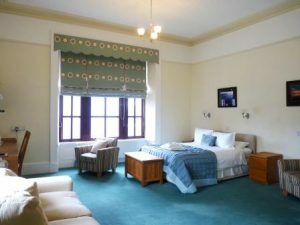 The Cairnmore family room is on the ground floor and is specially adapted for disabled guests. 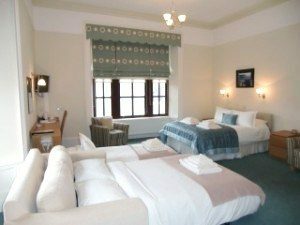 It can also become a triple with 2 single beds and a sofa bed. 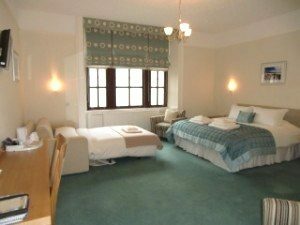 In addition we can provide a cot, baby bath and high chair for the very young and make no charge for children under 2.